Enjoy 25% off appetizers and drinks from 5-6:30p Monday through Thursday. Park in our lot, pay inside Jay's, & we'll validate parking when you spend $30 or more with us. 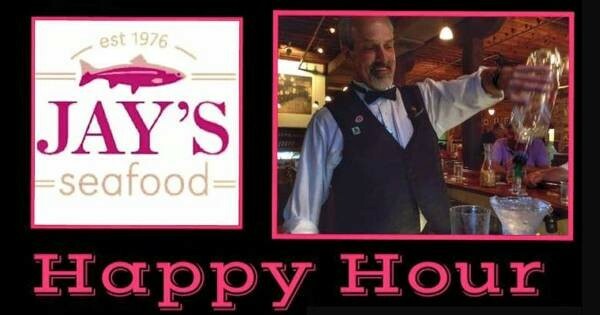 Find more events like "Happy Hour at Jay's Seafood"
Ohio's premier independent Seafood Restaurant has been a local favorite in the Historical Oregon District in Downtown Dayton for over 40 years.